Gaming | Business | Natsume Atari Inc. It is a thing of gambling which is played at overseas casino facility such as slot machine, poker and roulette, etc. It was recently reported that over 4,000 casinos could be found in 140 countries and regions(approx. ), and the market size expanded to more than US150 billion dollars. 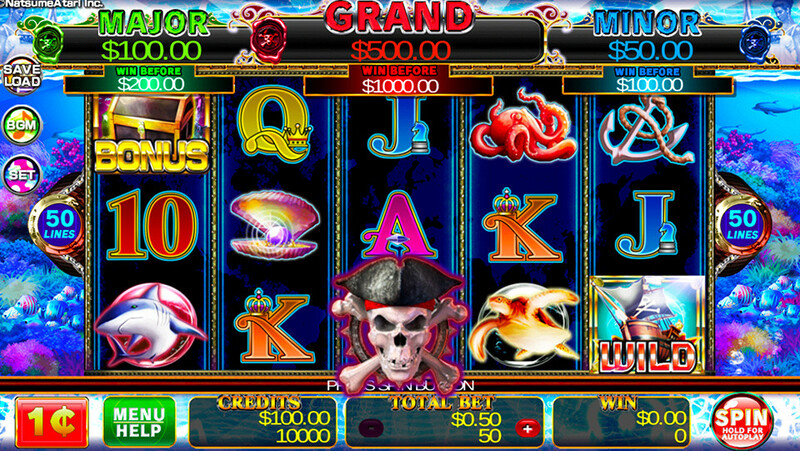 Especially the video slot machine market is rapidly growing recently and will take the part in entertainment esence. We plan and develop overseas casino video slot machines. We have developed an overall planning, designing and video production utilizing the game and amusement products know-how over many years. In addition, we will develop an amusement cabinet, PC simulator, and smartphones. Please refer to “HELP” in the game for further assistance. The sample game is playable on the following latest web browsers:Internet Explorer, Safari, Firefox, and Chrome. JAVA Plugin should be updated to latest version. Unity Web Player is required in order to play on either Internet Explorer or Safari.